Samsung Galaxy S9 and the Galaxy S9+ have been leaked in new sets of renders, purporting to provide a 360-degree view of Samsung’s upcoming flagship smartphone duo. The renders indicate the fingerprint sensor will be shifted from where it was on the Galaxy S8 – adjacent to the rear camera – to below the rear camera lens. The design has otherwise largely remained the same from the previous generation. 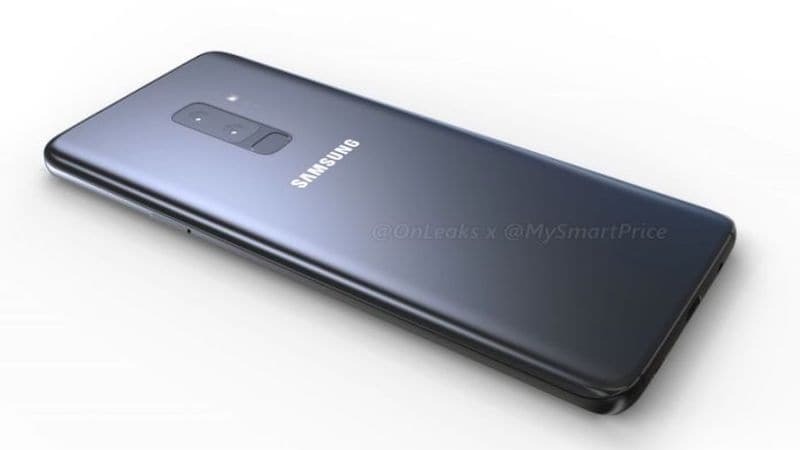 Alongside, another render shows an abandoned, more ambitious design for the Galaxy S9, while alleged front panels of the smartphone duo have also made it to the Internet. Tipster @OnLeaks has shared the leaked renders of the Samsung Galaxy S9 and Galaxy S9+. Do note that these are CAD-based renders and are not actual images of the smartphones. We had earlier reported that the Galaxy S9 will have an improved Iris scanner this time around. The design of the Galaxy S9, in the OnLeaks, renders shared by 91Mobiles, are similar to the Galaxy S8 (Review) we saw last year. There is a bezel-less display on the front, which might have slightly thinner bezels compared to last year’s Galaxy S8. Renders also show that the Galaxy S9 will not sport a dual-camera setup on the rear, a feature that appears to be exclusive to the Galaxy S9+. There is also a change in the position of the fingerprint sensor. While it remains on the rear of the device, the sensor has been shifted from the right of the camera lens to below it. This might be a decision taken to make it more ergonomic for the user. The sighting of a fingerprint sensor on the back also means that an in-screen fingerprint reader won’t be featured in the Samsung Galaxy S9. A heart-rate sensor and a single-LED flash can also be seen on the right side of the rear camera sensor. Renders reveal a USB Type-C port, primary microphone, loudspeaker, and a 3.5mm jack on the bottom. There is also a volume rocker on the left and a power key on the right of the Galaxy S9. The phone is said to have a 5.7-inch display, and feature a bottom bezel just 0.1mm thinner than the Samsung Galaxy S8. The smartphone is said to measure 147.6×68.7×8.4mm. As for the leaked OnLeaks renders of the Samsung Galaxy S9+ shared by MySmartPrice, we see an identical design, except for the use of vertical dual rear camera setup. The phone measures 157.7×73.8×8.5mm and come with a 6.1-inch screen, with top and bottom bezels said to be 0.1mm thinner than the Galaxy S8+. 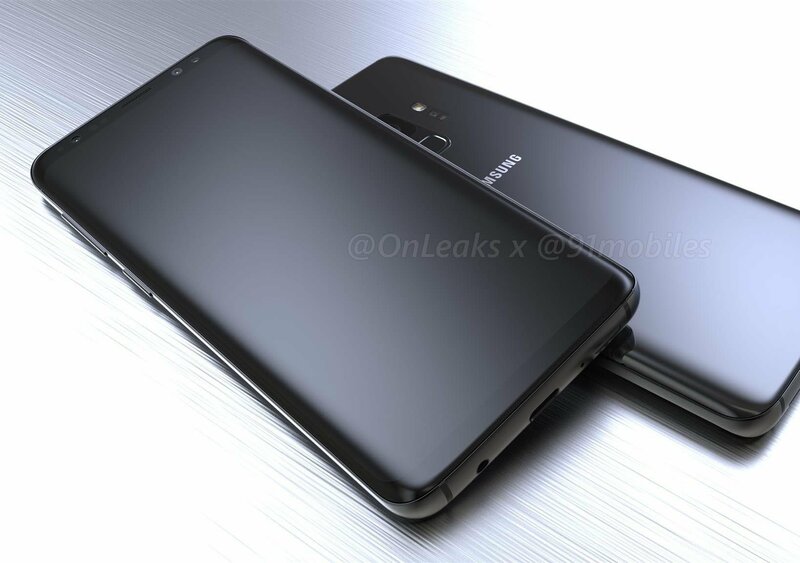 Separately, Tipster Ice Universe has shared a set of renders showing what is claimed to be the smaller-bezel design Samsung abandoned for the Galaxy S9, alongside the design it is going ahead with, which look similar to the Galaxy S8. The tipster also shared an image of the purported front panels of the Galaxy S9 and Galaxy S9+, which again show a design similar to the current Galaxy S-Series flagships.